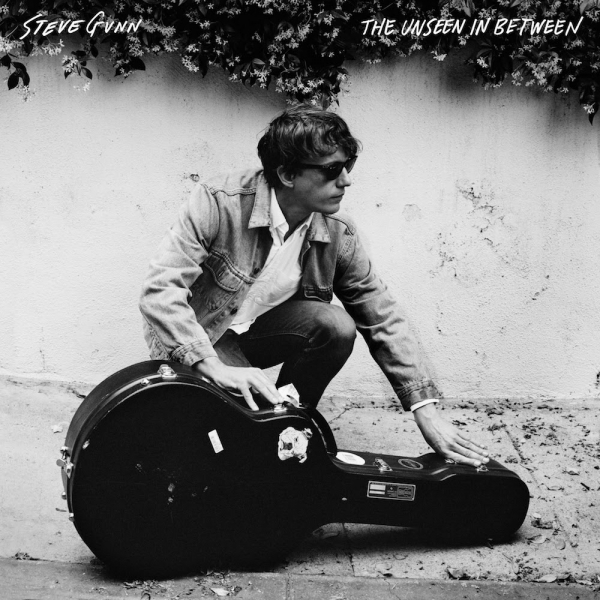 Steve Gunn’s latest offering, The Unseen in Between, in some such way picks up where 2016’s Eyes on the Lines left off. While Gunn’s work often touches on themes of discovery and wander, his new LP repositions him in a manner allowing him the chance to confront and reflect what he’s been searching for. Within its nine tracks, Gunn addresses matters of death, acceptance, and expectations, all of which round his music with serenity and credence, thus positioning him on the forefront not only as a quintessential narrator for our time, but a faithful guide who gently directs us revitalized and untroubled. Within our arduous journey to seize a voice that has the ability to stabilize us is a feat all in itself. We seek those who resonate with relatability and depth; we also desire safeguards to hold close as intimate keepsakes through our own personal mania as we attempt to acquire that asylum for ourselves. Gunn’s music and perspective in every such way offers the ability to cure us from those demons and uncertainty. In his composed, unfeigned demeanor from his attributed folk-rock styling to his ability to capture a story, Unseen... serves as an exemplary marker allowing us the needed opportunity to exhale. One of, if not the most heartfelt takeaways from Unseen... is “Stonehurst Cowboy” – a track dedicated to Gunn’s late father who tragically passed after a two-year battle with cancer two weeks after the release of Eyes on the Lines. It’s an impassioned track highlighting Gunn’s shrewdness as a musician – a guitar and a voice, reminding us what sparseness in music can achieve under his watch. In its fervent display, it’s not just about a father, but rather a rekindling of a father and son who became even better friends. But even coming to terms with confronting the grief and distress from losing a parent, Gunn’s unwavering diplomacy shines – admirable and certainly a quality we all aspire to obtain, even if just a fraction, but it’s one Gunn was naturally born with and that wisdom is laced throughout his work. You can pinpoint similar moments throughout Unseen... – “New Moon” was our first taste. Gunn begins: “I see a glimmer / Across the wall through the mirror / Out past the streets beyond the weather / To that place no one seems to know” – here, he embraces the imagery of light and reflection and even seems familiar with the unknown place he speaks of, likely having been there himself. “Vagabond”, a rich latticework of pedal steel and upbeat rollick find Gunn and guest vocalist, Meg Baird in a deep muse, both attempting to redefine ideologies in helping others find their solace in their existence. But while the theme of the “nurturer” is scattered throughout Unseen... – whether it’s up close or from afar, Gunn is held as a definitive, selfless figure in that sense. This, too, is seen on “Luciano” – a tender track not just about the bond between a bodega owner and his cat, but it’s more so Gunn’s concern about the well-being of the owner once the cat is no longer with him. It’s a devastatingly earnest sentiment showing how fleeting existence can be and how severe and irreparable one can feel with the loss of an animal. While Unseen portrays Gunn as a caretaker of sorts, it’s an LP that continues to uphold his pronounced style we’ve come to cherish over time. 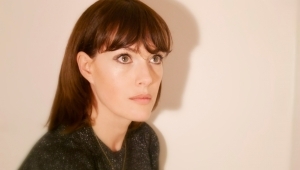 “New Familiar” is a slow-burning testament to the fears and unpredictability of political climate while the confessional allure of “Morning Is Mended” calls to mind folk legend, John Fahey. “Lightning Field” pays homage to artist, Walter De Maria. His piece, “The Lightning Field” is a land-art installation comprised of exactly 400 stainless steel poles inserted into the high desert ground in Catron County, New Mexico. It’s a visual phenomenon that visitors flock to in hope of seeing a dazzling spectacle of lightning striking the beams during a storm. In its mystifying lure, Gunn’s interpretation shows how despite the piece’s appeal, expectations can be transient or even non-existent – the storm may redirect or dissipate before reaching the peak, forcing the onlookers to seize new ways of interpreting their surroundings and experience. 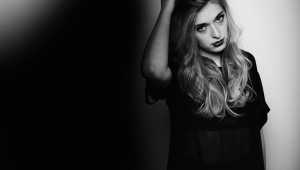 Album closer and Black Sabbath-inspired “Paranoid” sends us off. In all its balladry, it sways steadily with church bells chiming before gently cascading into silence. Within Unseen...’s jam-induced moments to its heartfelt odes, Gunn gives us something to cherish and it’s of paramount importance the lesson we take from him: despite not necessarily having the answers to these looming questions and concerns that come and go on Unseen... that confront topics of loss and one’s existence, the upshot is more so Gunn’s acknowledgment of them. It’s the reality that we attempt to ground ourselves with the complacency he projects. With that gentle nudge on Gunn’s behalf, he manages to bring us back, humanizing our perspectives hopefully more than before.